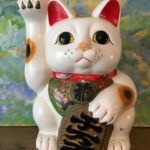 This ceramic beckoning cat has been around for a long time, has decades of patina, and has been well loved! 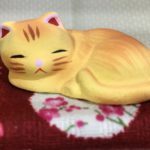 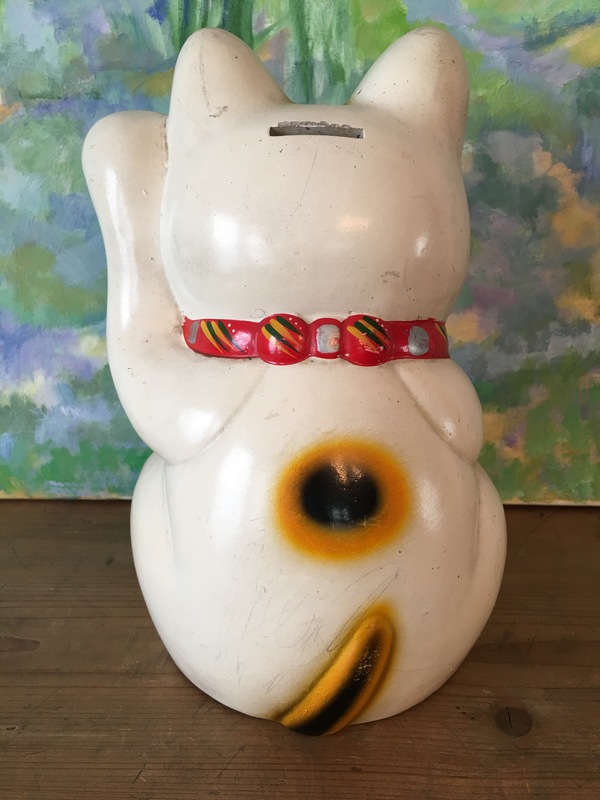 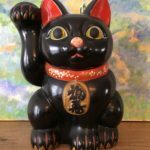 It stands 10.5″ high X 6″ wide, and is a bank which is typical of this style lucky cat. 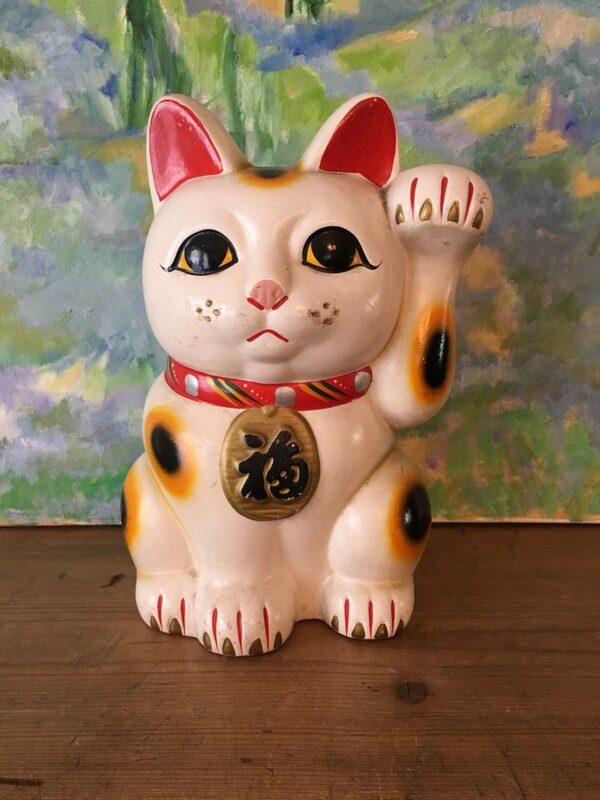 The gold bell around it’s neck says “Fuku” which means “Good Fortune”. 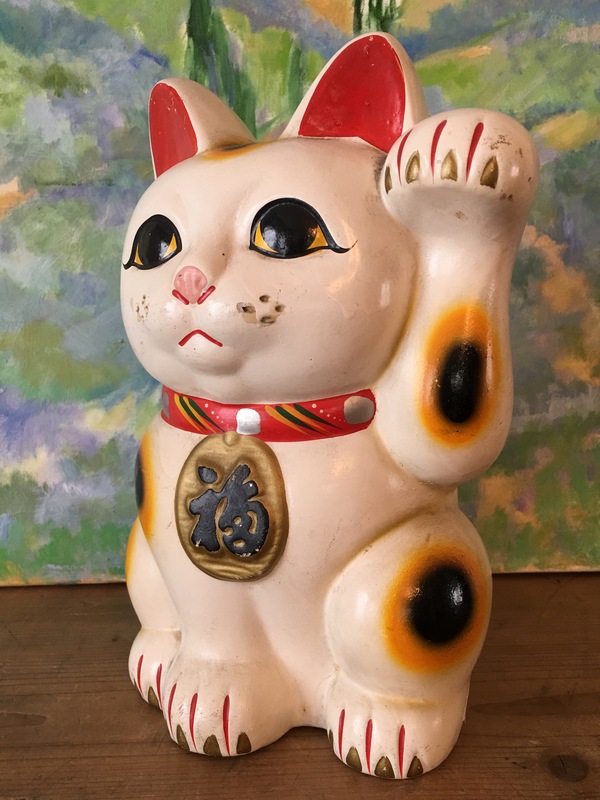 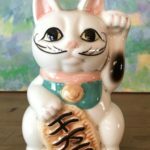 This lucky cat has a very sweet face, and has been around for so long that it’s whiskers are gone (probably accidentally pulled off by loving children . 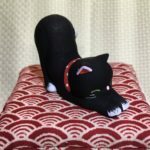 . . ). 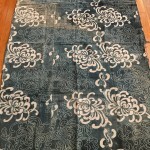 $150 plus $50 shipping within the continental U.S.